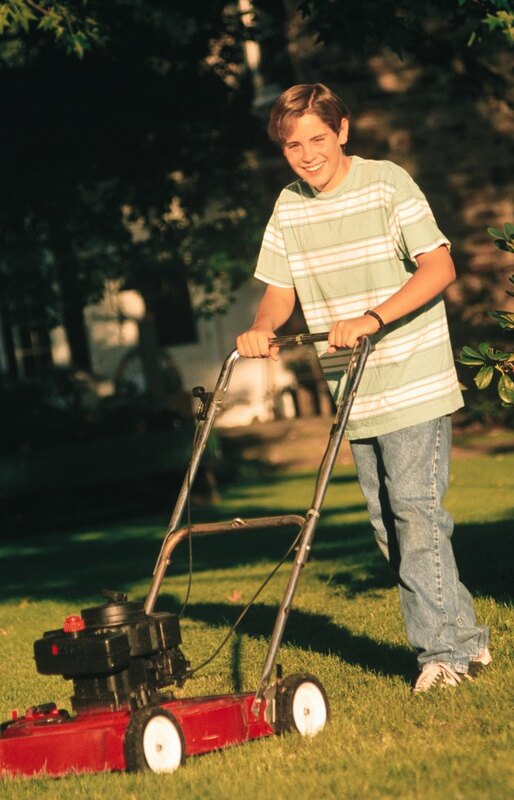 A carburetor on a lawnmower is very small compared to the larger ones commonly found on older automobiles. Because of this, carburetors used on small engines usually have a rubber or plastic priming bulb that forces fresh gas into the carburetor bowl. This makes it easier to start the engine, since fuel usually drains from the bowl during infrequent usage. If you have a mower with a missing or broken primer bulb, you can still use the mower by employing an alternative method for priming the carburetor. Most small engines use a primer bulb. Pull the cover off the air cleaner mounted on the side of the mower engine. In most cases, the air cleaner cover attaches with a small retaining clip. In some cases, you must remove a screw to take off the cover. Take note of the air cleaner positioning inside the air cleaner housing, and then remove the air cleaner from the housing. Squirt a single spray of starter fluid into the hole located in the back of the housing. This forces starter fluid though the carburetor bore and into the bowl. Place the air cleaner back in the air cleaner housing and replace the cover. Do not put the air cleaner into the housing backward. It will restrict airflow. Keep in mind that starter fluid evaporates relatively fast, so speed is important when you're putting the air cleaner and cover back in place. Start the mower via the pull cord or electric starter.